The Tolix chair was originally designed by Frenchman Xavier Pauchard. The industrial design of this chair was a triumph of its time and it remains just as popular to this day. 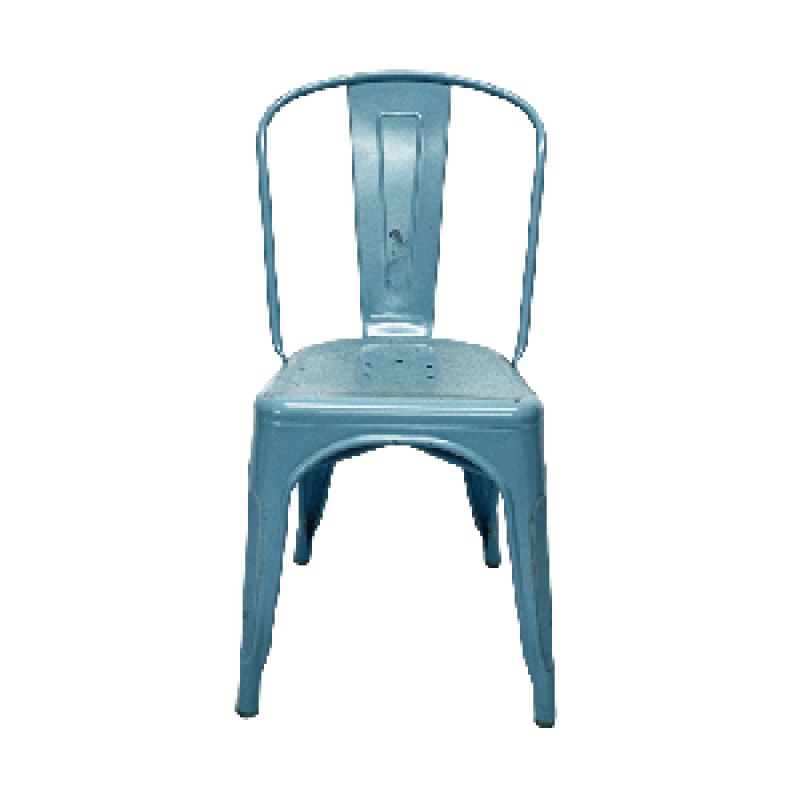 Our blue Toledo chair is inspired by the design classic and has become one of our best sellers. With its distressed style finish, hard wearing material and modern form it’s clear to see why. Available in 9 shades, the colour combinations are endless and can be mix and matched to suit your events theme. Why not co-ordinate with the Toledo table or create a bar area with our Toledo stools.